This guide will showcase some of the best drum kits available in the market today - from starter to sophisticated kits. I have intentionally chosen the kits that not only suits your budget or skill level but also matches different kinds of grooves from slow rock, to funky soul, R&B beats, or even heavy metal. Furthermore, I spent hours and hours of research to find the best drum kits for you. I also have some tips on how you can choose the best gear combinations that can help you enhance your level of percussion skills, match your preferred genre, and of course, fit your budget. First, I have to orient you on the parts of the drum set. You will need this very basic knowledge only because you want to make sure that you buy a complete set. 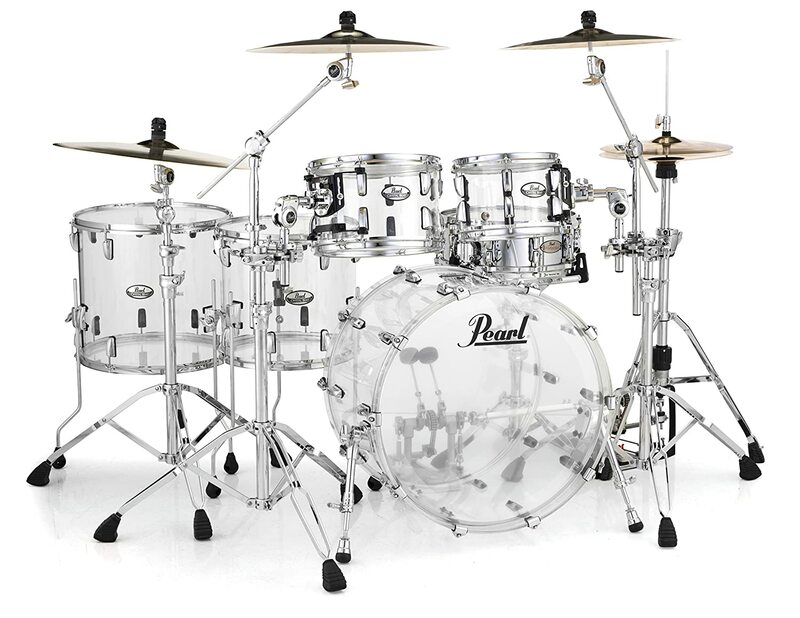 Because it’s made of acrylic shells for added resonance, this drum kit is amazing live. It comes with multiple configurations, especially for rock n roll and jazz. I love the toms - they are durable and easy to tune. The frequencies are set at a higher range in the highs and lows while the midrange is softer and quieter. Clear transparent color for a unique design. Adds stage presence and personality. With great quality tom shells and bass drum shells. ​With acrylic bass drum hoops. ​Sounds amazing right out of the box. Ready to play and properly adjusted. Does not come with a snare. This set is made of maple, so it creates amazing sound quality. However, it is more expensive compared to the other kits already listed in this guide. Drums made of maple wood produce warm, balanced beats, so it is perfect lighter music genres such as jazz, blues, soft rock, ballad, and soul. Vintage style walnut glaze color. ​Made of 7-ply maple shells. ​Functional and outstanding performance live. ​With high-quality hardware: bass drum mount plate, GTS mounting system, tom brackets, and tom holders. Needs to be adjusted properly for longer hours of drum playing pleasure. 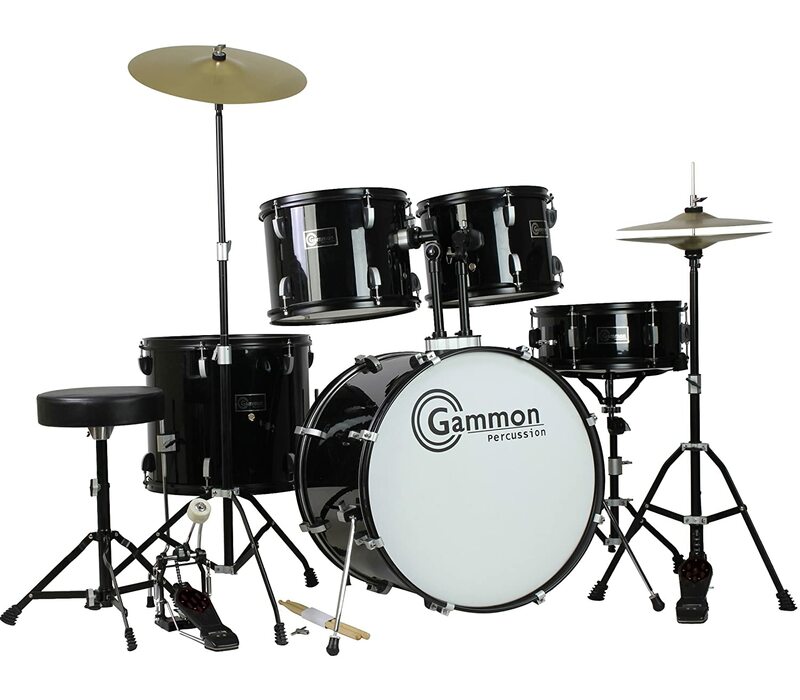 Gammon Percussion is known for budget-friendly complete drumsets for both juniors and adults. This set already has cymbal stands, drumsticks, and stool. Although it claims to be a perfect use for beginners and professionals alike, I would only recommend this as a starter kit. Comes with cymbal stand, drum sticks, stoll, drummer’s key, and bass drum pedal. ​Great as a starter kit. ​Great set for practicing and learning percussion basics. May take time to tune the drums. There are some quality issues, especially with durability. Pear claims to be one of the most trusted drum set brands in the market. The RS525SCC706 is ready to play right out of the box. It already comes with hardware and accessories, so this is reasonably priced. I have tried playing this at a gig, and they are durable. The drums do not get easily out of tune, but you have to make sure to adjust them first before playing at gigs where you will be playing music per set. Reasonable price considering it is a brand with good reputation. Made of thick, nine-ply heads with Poplar tonewood. ​With Hybrid Hi-Hats and Brass Crash-ride cymbals. 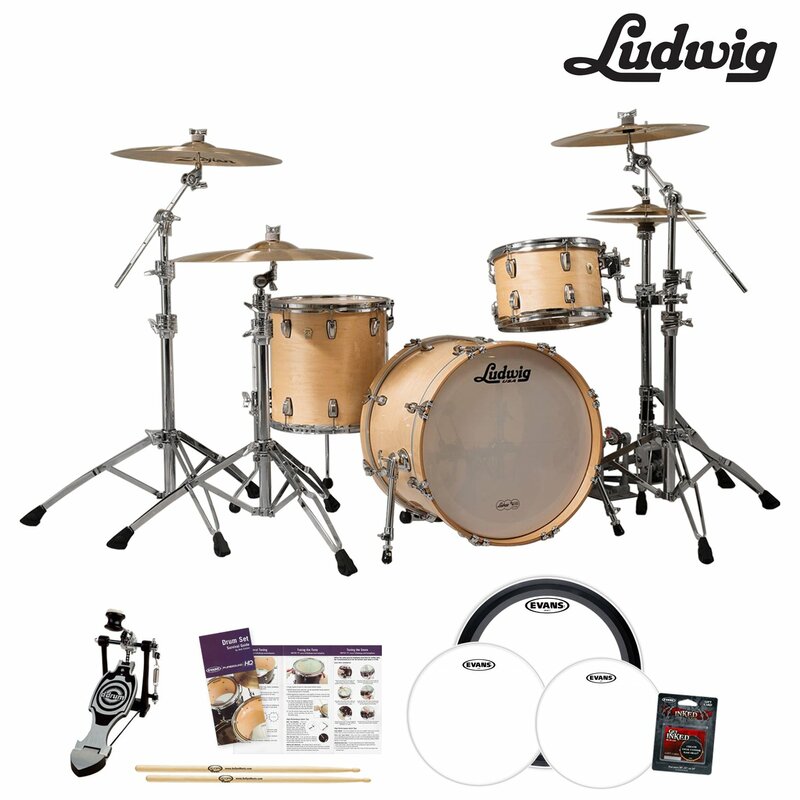 ​5-piece configuration that is ideal for both beginner and professional. May need better quality control for all parts included in the kit. May require proper adjustments before playing. The Ddrum Journeyman is crazy affordable but created with such great care and quality. This is one of my favorites and mostly preferred for playing heavy metal beats for its rich, heavy tonality. Has a massive bass drum perfect for heavy metal tunes. Great sound balance and overall quality. Comes with a snare drum. Some parts may have quality issues especially the cymbals. This four piece set may be too expensive, but you will be able to achieve a 4-piece configuration ala Ringo Starr with these. Amazing sound that is perfect for recording, I prefer this for recording rock and R&B beats. This could be one of the most heavy duty drum sets available in the market today. It also has excellent sound quality especially the bass drum low end. Comes with rock solid hardware. ​Amazing sound for live and studio performances. Very expensive for a four piece drum kit. 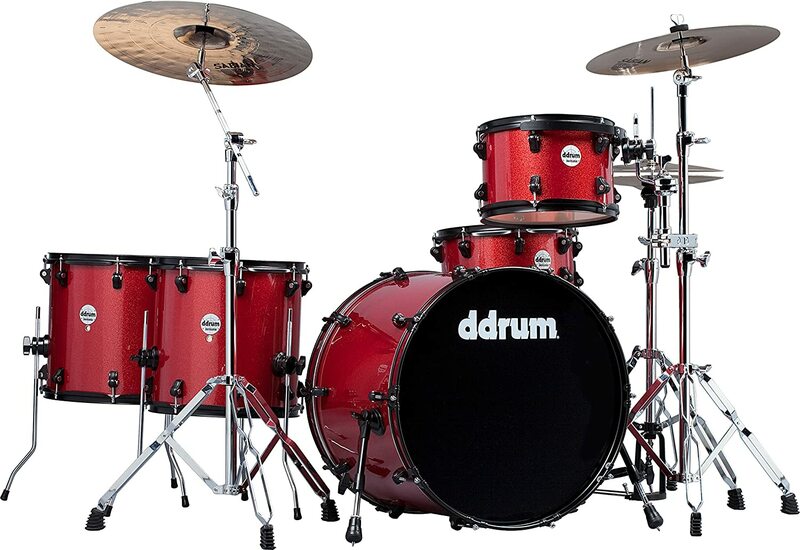 Now, if you are looking for a balanced price-quality ratio, this drum set is the one for you. This 5-piece set is made of good quality birch - a wood known for its heavy and loud but brighter sound. It sounds a lot better compared to mahogany or maple made drums, in my opinion. 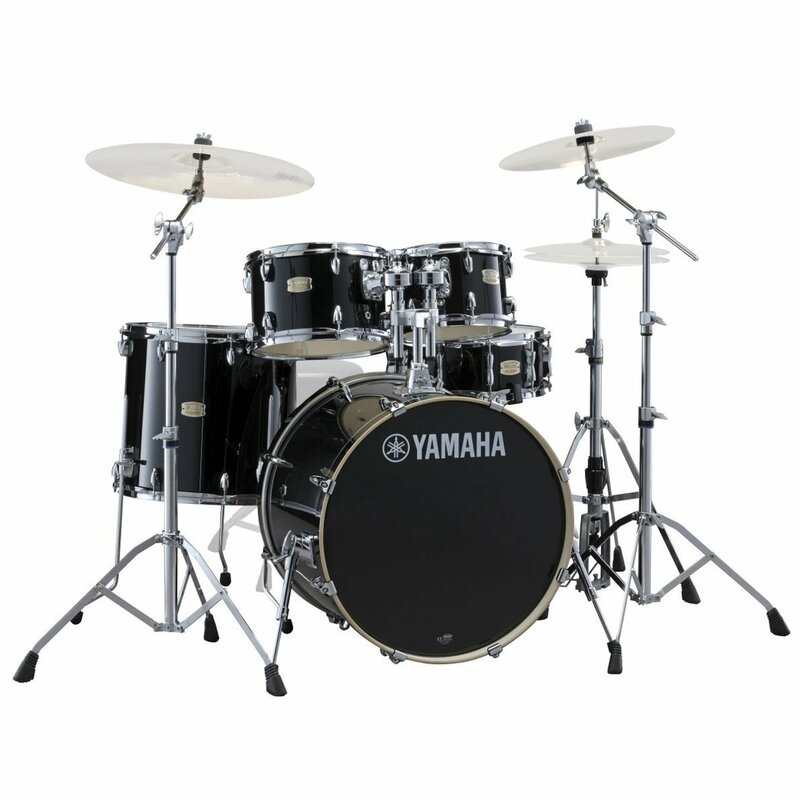 Birchwood drums, such as this Yamaha model, have enhanced high and low frequencies that make it perfect for music that requires heavier beats. Works with any music style. Some quality issues reported by reviewers. 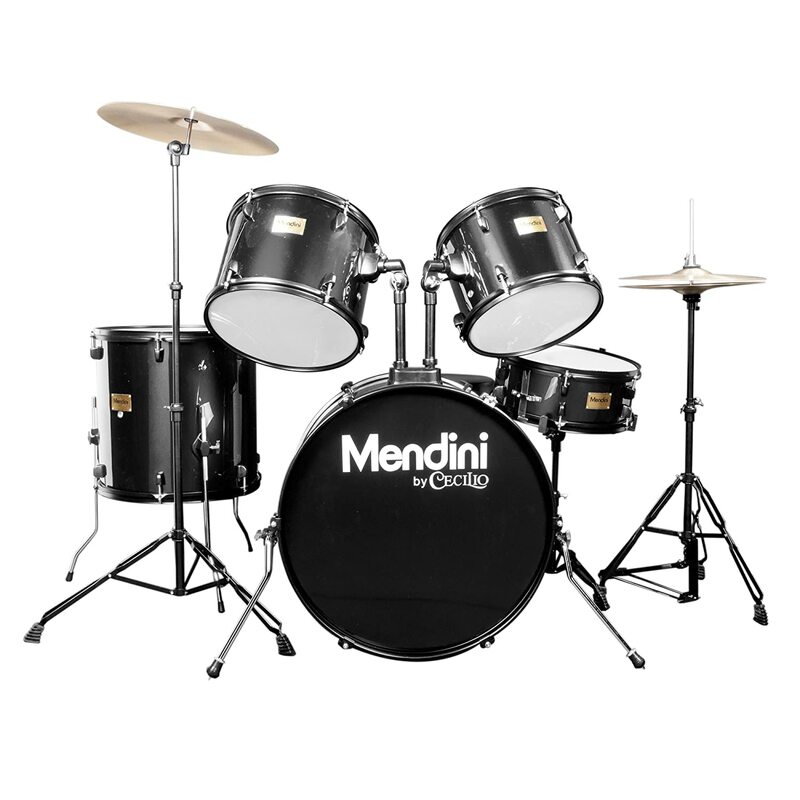 This Mendini kit is complete with hardware and easy to follow instructions. 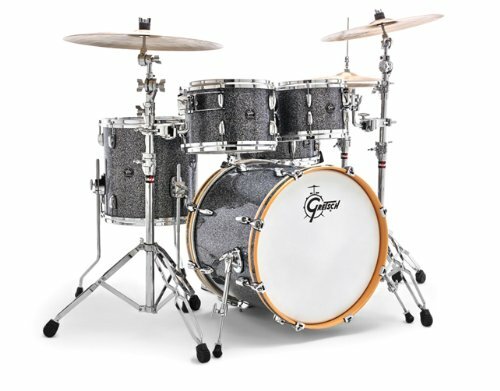 By the looks of it, this is an entry level drum set perfect for beginners. My 12-year-old nephew is using this, and he loves it. For a very affordable price, it already provides full resonance and warmth of sound. This may not come close to drum sets made of birch or mahogany, but this is a good starter kit for learning and practicing. You can always upgrade to kits with better quality as you progress with your percussion skills. Shells made of poplar wood for added resonance. With wooded sticks that produce a warm sound. ​Easy to setup with a user-friendly guide. ​With chain-drive bass drum pedal. Some quality issues considering its price. This set is a complete one that guarantees incredible performance for beginners. This may have some quality issues because it is a very affordable set, but it is a good starter kit to begin your percussion journey with. You may need to replace the cymbals because they can break easily. It surprised me that this kit has clear heads and incredible resonance. I find its sound quality satisfactory. ​Produces amazing light tones for jazz, blues, and soul. The cymbals in the package are low in quality and need immediate replacement. The best thing about this drum set is its sound versatility. Since it is made of maple wood, it guarantees warmth and resonance. I can play this along with other instruments in a studio or live performance, and it still cuts through the mix. With wide dynamic range, high sensitivity, and sharp application, I must say this is perfect for professionals. I would not recommend this for beginners because aside from the fact that it is too expensive for a starter kit, it has an overwhelming big tonality and extended resonance. Amazing for live performances and studio recording. Shines through the mix clearly. ​Big tonality for better performance. ​Adaptability and versatility for any music style. Comes in only three pieces so you might spend more if you want a 4 or 5 piece set. There are hundreds of brands of drum kits that you can find on the market today. So how do you choose from all of it without getting confused or overwhelmed? The essential components of a drum kit include a bass drum, a snare drum, mounted toms, and a floor tom. You also need the cymbals and the hardware. You may notice that professional drummers you see in concerts have more than the usual number of these parts in a set. As you progress with your drumming skills, you can add more parts. For the time being, let’s settle on these essential components. A 4-piece set will be perfect for hobbyists and beginners. If you are a fan of The Beatles, you will notice that Ringo Starr, the drummer, popularized this set configuration. One mounted tom, a snare drum, a bass drum, and floor tom are enough to provide the very basic beats. The advantage of using a 4-piece set is that it is perfect for small spaces. Also, it can be ideal for playing drum accompaniment for jazz, rock’n’roll, and blues music. 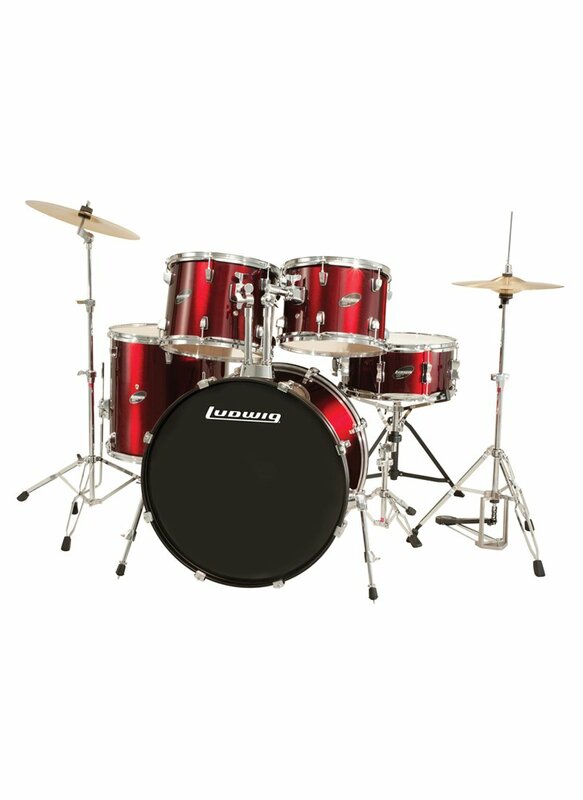 Your drum set will need hardware such as snare stand, bass drum pedal, one or more snare stands, and a hi-hat stand. 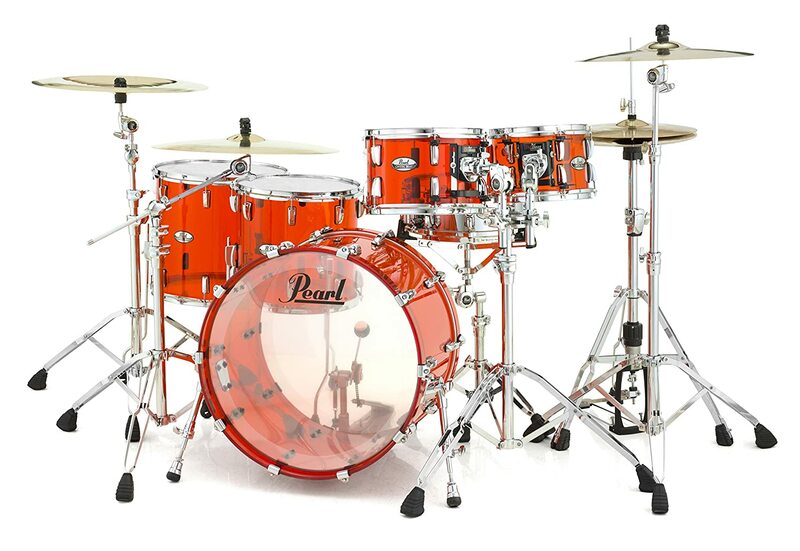 There are already drum sets with available hardware, but it varies from one set to another. But there are also drum hardware pack that you can buy separately. Spare yourself some extra cash for this. Depending on the type of wood the drum kit is constructed with, the tone may differ. Birch - this kind of wood is dense and durable. It provides heavy and loud but brighter sound compared to mahogany or maple. 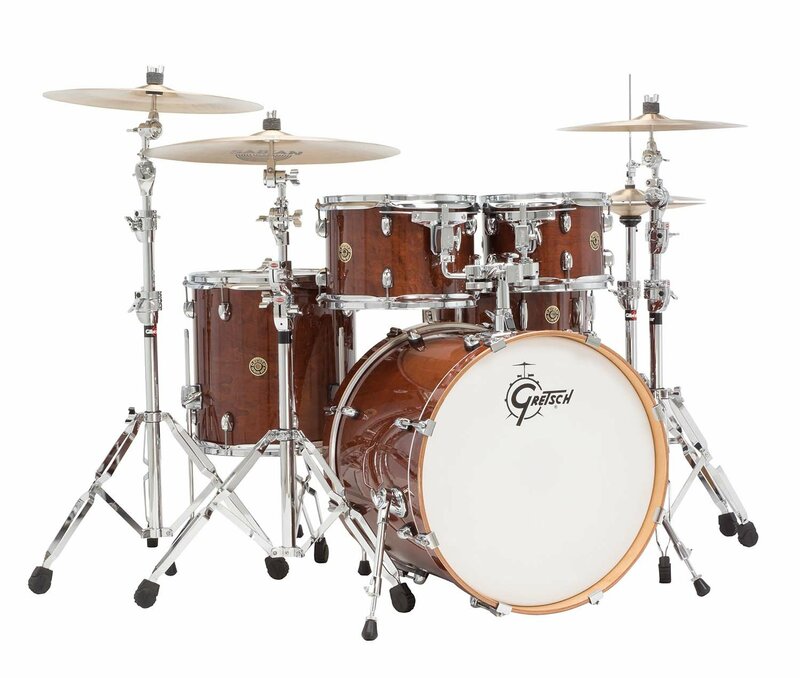 Drums made of birch wood have enhanced high and low frequencies while the midrange is reduced. Maple - this is the most commonly used wood for drum construction. It creates warm and balanced beats. ​Mahogany - this wood enhances the midrange and low range tones while reducing the high frequencies. Thus, produces warm tones. ​Lauan - also known as “select hardwood,” it has similar characteristics with birch wood but is less expensive. ​Basswood - this is a cheaper alternative for birch and maple and has some excellent physical characteristics for a quality lacquer finish. It may not sound as warm as maple or as bright as birch but is still preferred by many because of its availability and affordability. ​Poplar - this is another common alternative for the more expensive mahogany and birch. It has similar tone characteristics. A drum stool or drum throne is essential for a comfortable playing experience. Do not use any other seat or a customized, DIY stool because they may not provide the same comfort, height adjustment, and portability the same way drum thrones do. This also includes padding to keep you comfortable after long hours of playing. This is another important part of the drumset. Most of the time, these are sold separately, so consider sparing an extra budget for a cymbal or two. There are different kinds of cymbals namely, China cymbals, ride cymbals, Splash, hi-hat cymbals, and crash cymbals. Each kind plays various roles in drum playing. Stands and racks are necessary for drum configuration and placement. You need your drum parts to be in place, correctly positioned for efficient and comfortable drum playing. Choose the ones that occupy a relatively minimal floor space, especially if your studio or room has limited floor area. There are different varieties of drum heads such as clear, coated, single ply, and double ply. These create different tones and sounds for your kit. And there are two types of heads namely the resonant heads and the batter heads. The resonant heads are positioned at the sides of the drum for added sustain and resonance. On the other hand, the batter heads are placed at the top part of the drums. If you want to adjust or customize your drum kit, you need additional accessories such as keys and tuning tools, drum covers and cases, replacement parts, gig bags, and cleaning tools. You may even need practice pads for an almost silent practice—unless you want to disturb your neighbors, roommates, or flatmates. Many drummers use different types of drum sticks and brushes depending on the style of music they are playing. The heavier rods such as 2Bs are used for R&B and rock that require heavier beats, while the lighter sticks such as 7As are for funky beats, jazz, acoustic, and folk music. The tips of the sticks are made of either nylon or wood. Wooden tips are softer and produce warmer, brighter, and softer beats, while nylon tips are focused on rich cymbal sounds. Now that you understand the essential drum parts and their functions, it is time to get to the fun part finally. The top ten best drum kits available in the market. This guide is made from thorough research and testing. I do not own each of the drum kits I presented in the guide, but I have tried them from friends and co-musicians who own them. The top ten list are my personal preferences when it comes to playing drums. I picked Pearl CRB525FP/C730 Crystal Beat to be in the top spot because it suits both professionals and beginners alike. 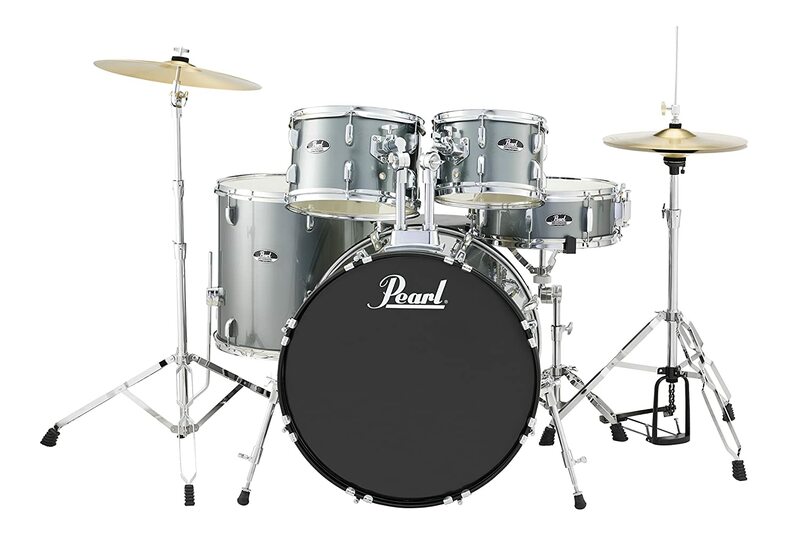 Not to mention, it is budget-friendly, and Pearl is known for high-quality drums. If you find this top 10 Best Drum Kits beneficial, please feel free to comment below. If not, please do not hesitate to make any suggestions to improve the content of this guide, including the entries in the list. Happy drumming!